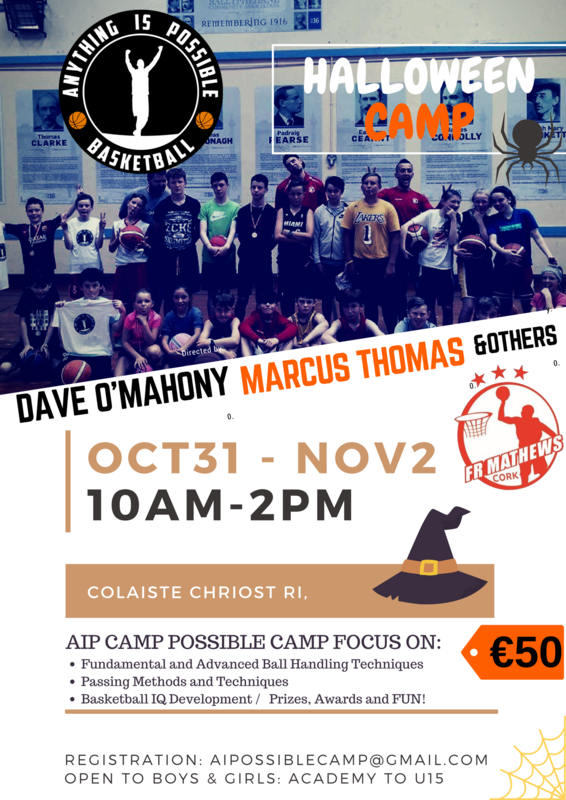 I would like to personally invite you to attend our midterm break basketball camp this Halloween starting on Tue 31st of Oct. We will strive each and every day to not only improve your basketball skills, but also to make sure that you have a thoroughly enjoyable experience. We will focus on fundamentals and skill development each session. I know that you will benefit from being a part of our camp. I look forward to seeing you this summer.